How do you drink The Good Cider? With the weather warming, The Good Cider is the perfect refreshing beverage for a warm afternoon, or any other good moment. Drink it from the bottle, or mix it up into a fruit forward cooler, like Brittany from Sideline Socialite did. If you’re looking to get real creative or fancy yourself a mixologist, explore our website for some other drink ideas. 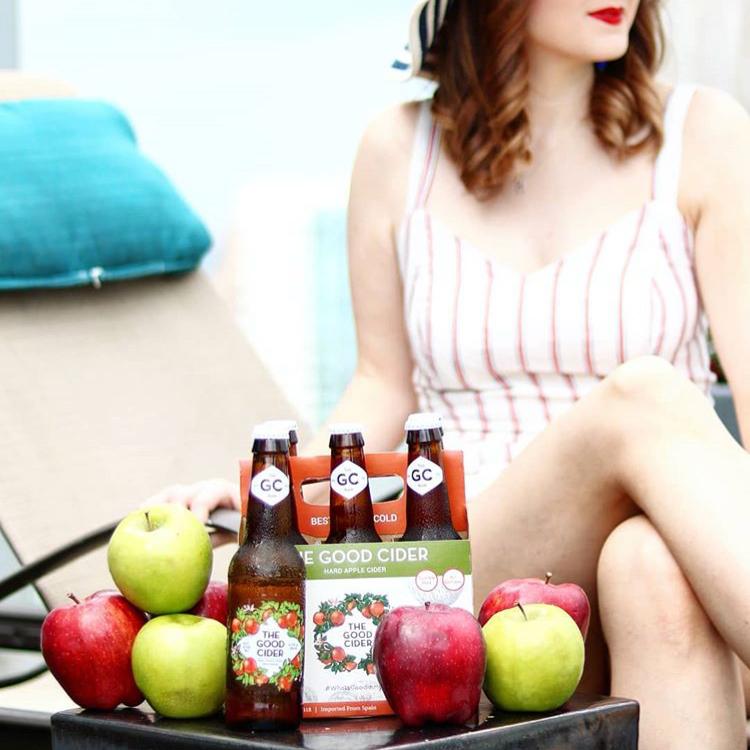 The Good Cider’s fruit forward flavor and natural apple sweetness makes it perfect for mixing, cooking, and thirst quenching! 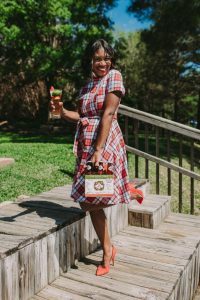 You can purchase The Good Cider, and everything else you’ll need to make a fun and flirty Springtime drink at H-E-B and BevMo! Be sure to share your drink and pictures with us, or tag us social! We love seeing how you drink The Good Cider! And if you’re in Texas, keep an eye out for our soon to be available Strawberry-apple cider for even more mixing possibilities! The Good Cider pairs great with good moments. Brunch with friends, or a Springtime BBQ. Rooftop party, poolside, or over dinner. Enjoy!